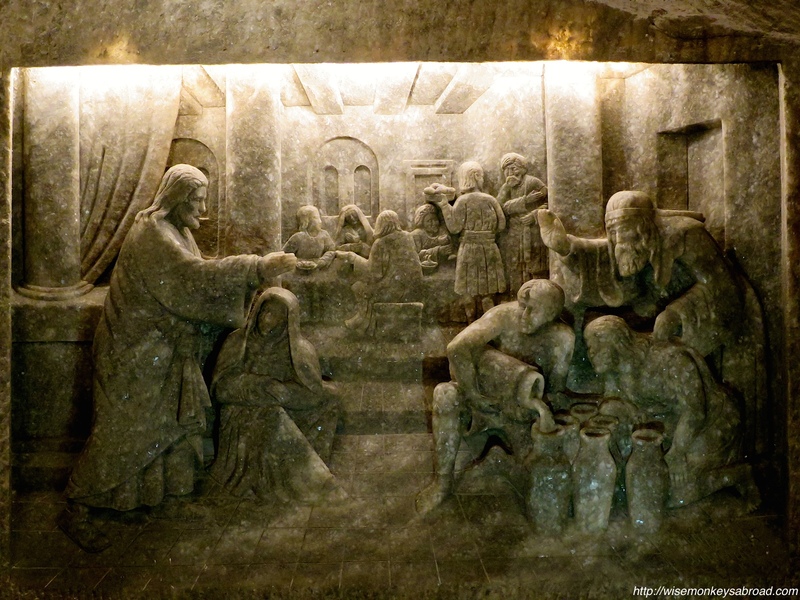 Wielickza Salt Mines is about 10km south of Krakow, Poland. 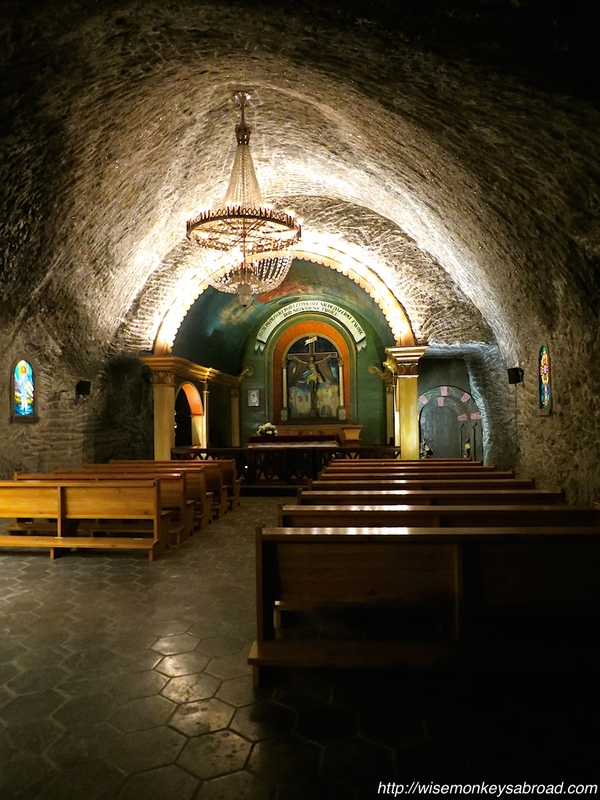 It was built in the 13th century and is one of the world’s oldest salt mines. But… it’s not just any mine. 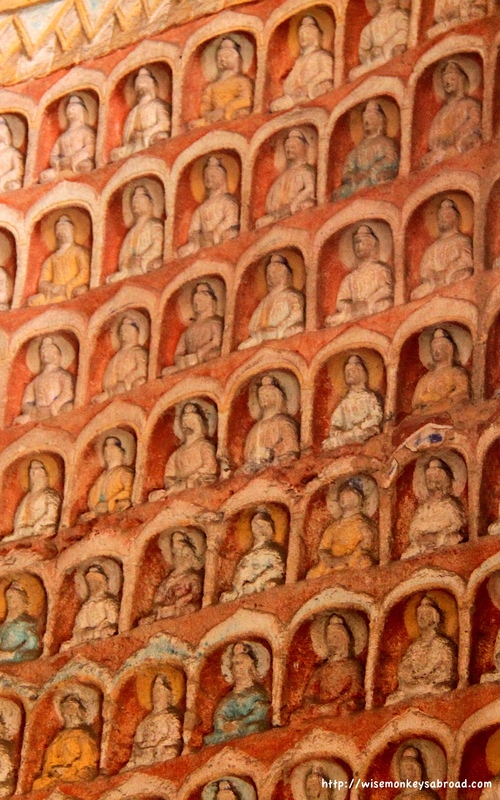 It is filled with dozens of statues, three chapels and a cathedral. 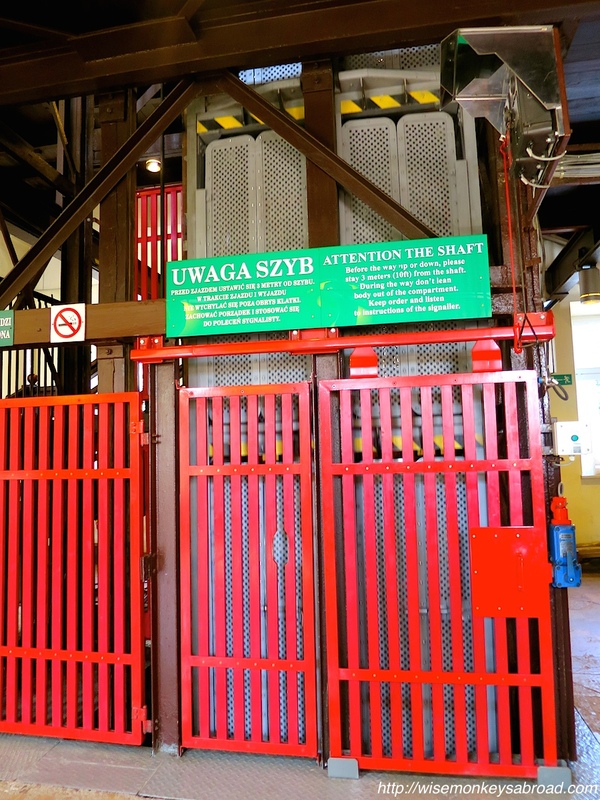 To enter the mine, we needed to take a three-storey lift to head down the mine shaft to about 60-odd metres underground. Each of the lift capsules could hold about 9 people, so it was a tight squeeze. But once down there, it was FAR from “squeezy” anymore. Some parts had ceilings as high as 30 metres. 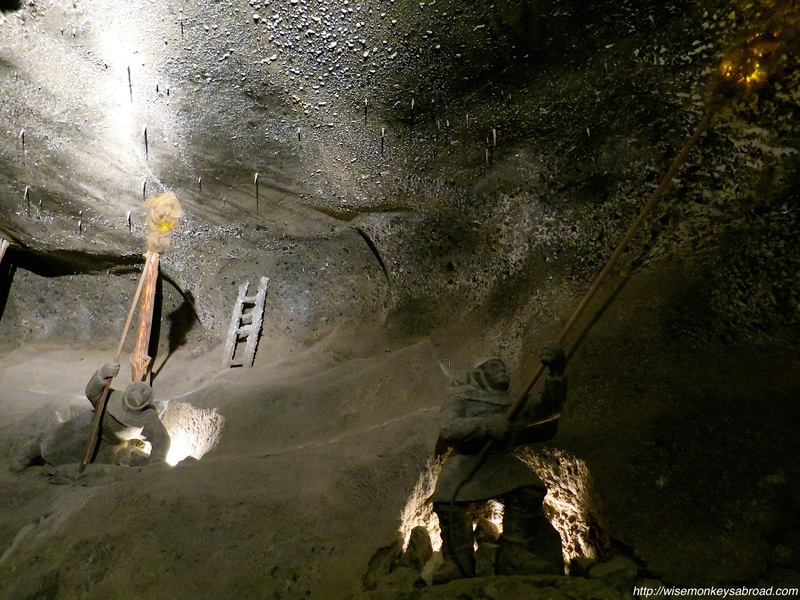 There was a room where the horses working in the mines were kept, so you can imagine the size. 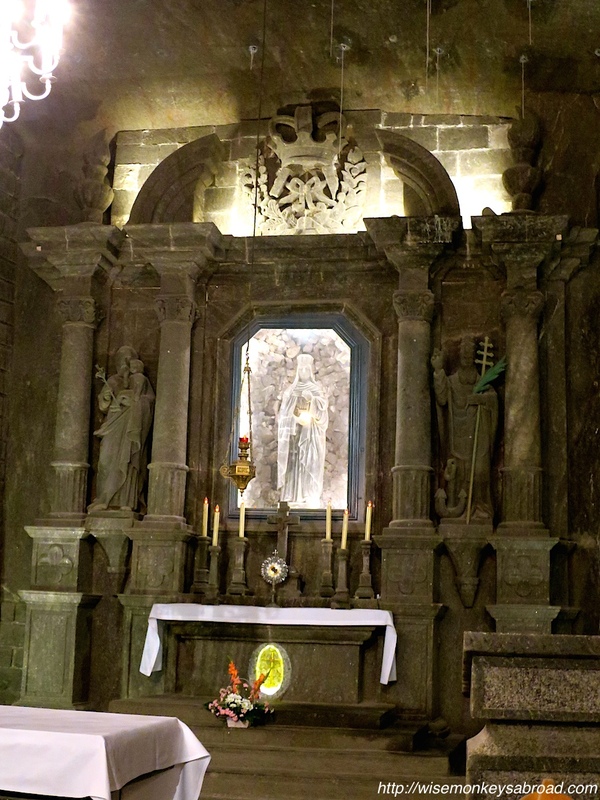 For about 3km, escorted by a guide, we followed the “Tourist Route” which covered about 20 chambers, 2 chapels and a cathedral. What we saw was so unique. 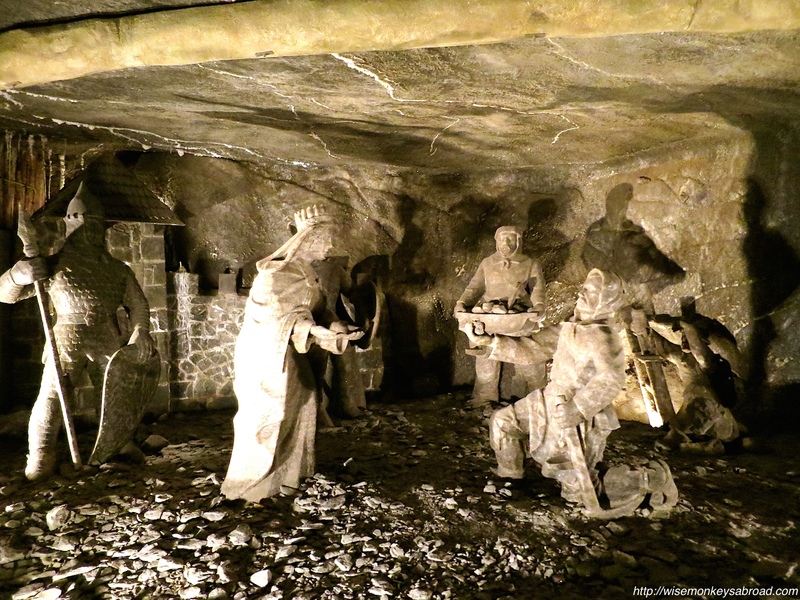 Miners throughout the history of the mines carved the statues (out of rock salt) in the different chambers. 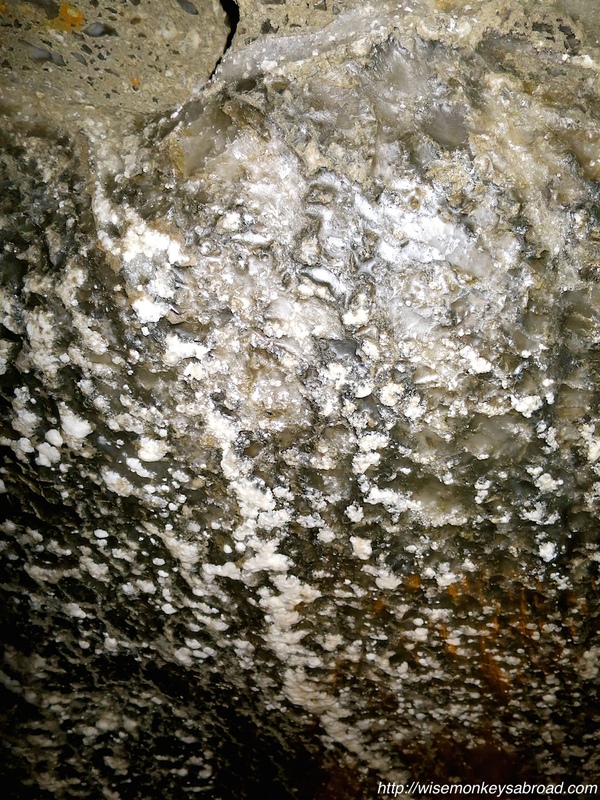 There really was salt everywhere. 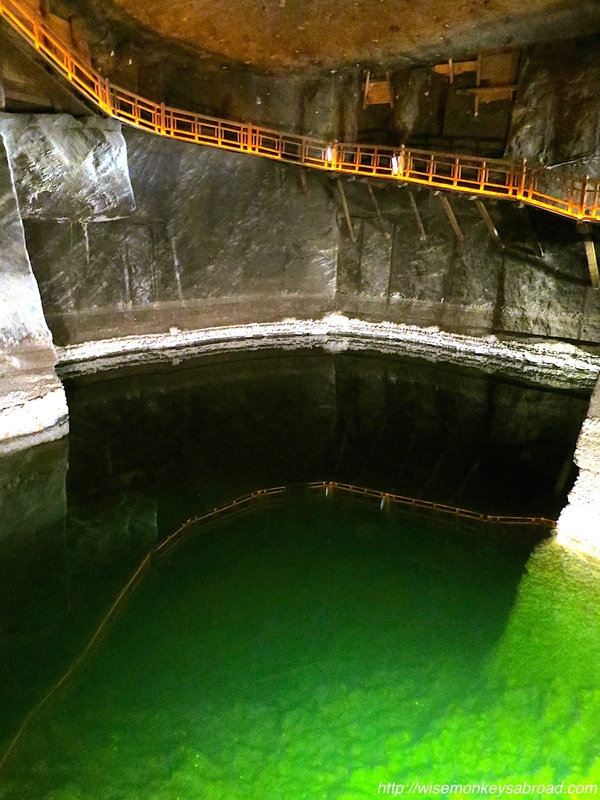 We head down some stairs to reach the lowest point of the mines accessible by visitors on this tour (about 100 metres below surface) and there we saw the manmade lake. 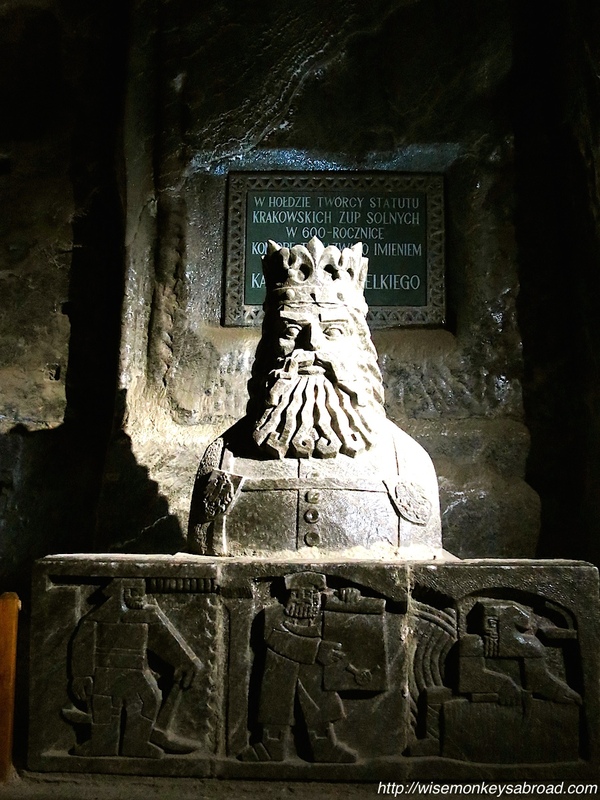 Without a doubt, the most astounding thing we saw was the cathedral, Chapel of St Kinga! 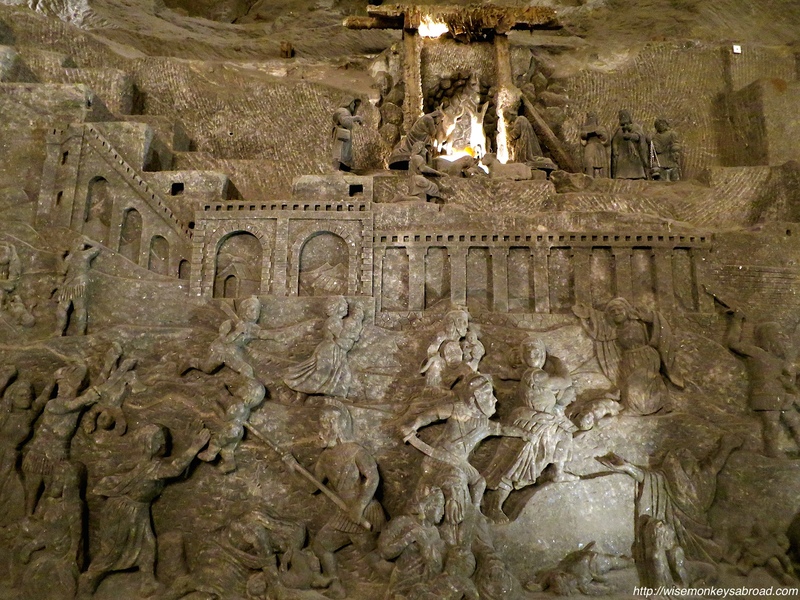 The entire cathedral was carved by miners out of the rock salt, including the statues and images on the walls. 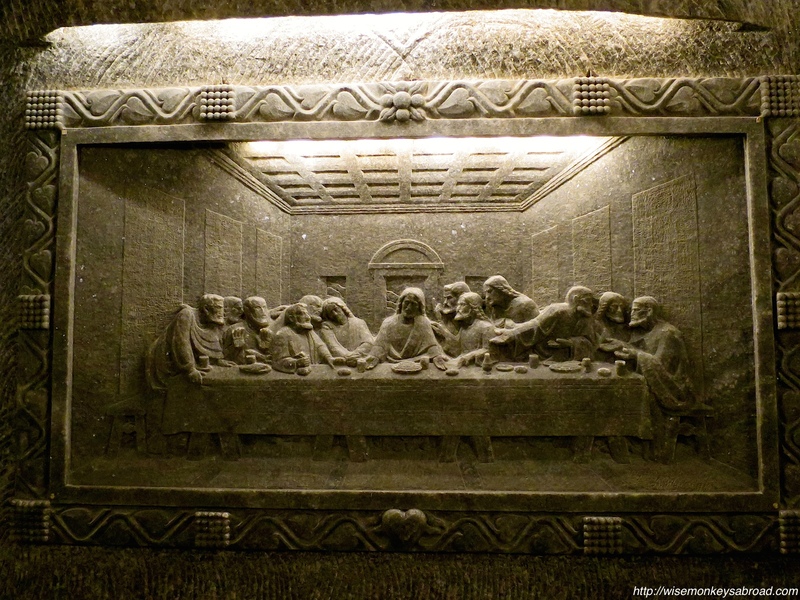 The Last Supper was the only one carved out by a professional artist and not by the miners. 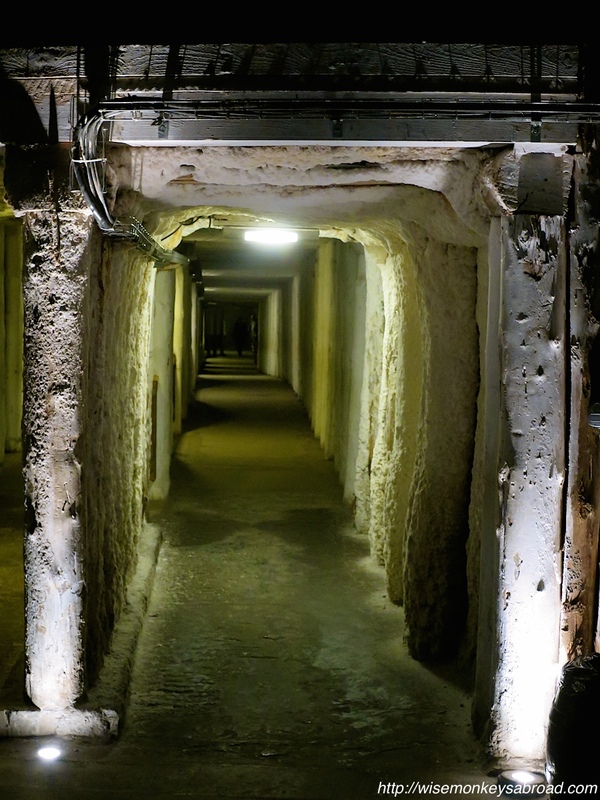 It was a wonderful way to spend a hot summer’s day because underground it was a pleasant 15° Celsius! 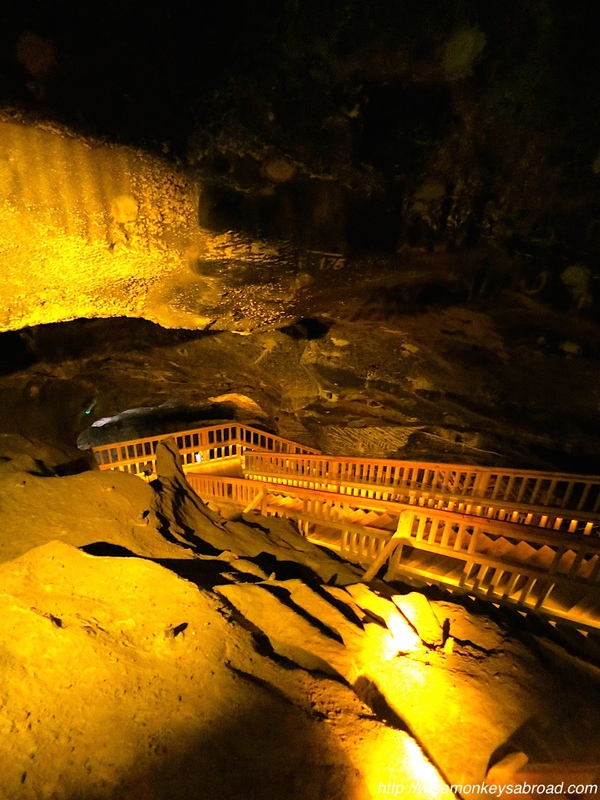 And down this far, there are an eatery, toilets, souvenirs shops and historically, visitors could bungee jump or go up on a balloon ride! 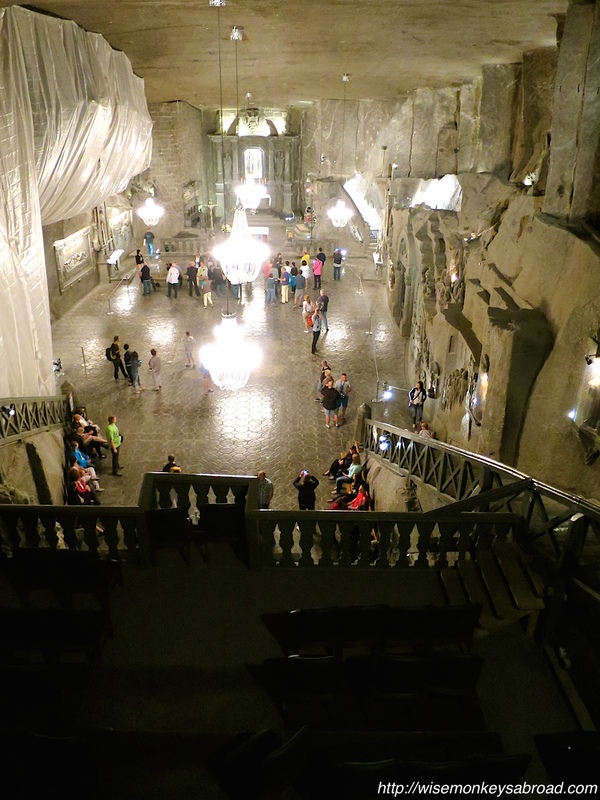 The Salt Mines are a must if you ever find yourself in Poland. Tip: Be sure to wear comfortable shoes and bring warm clothing. 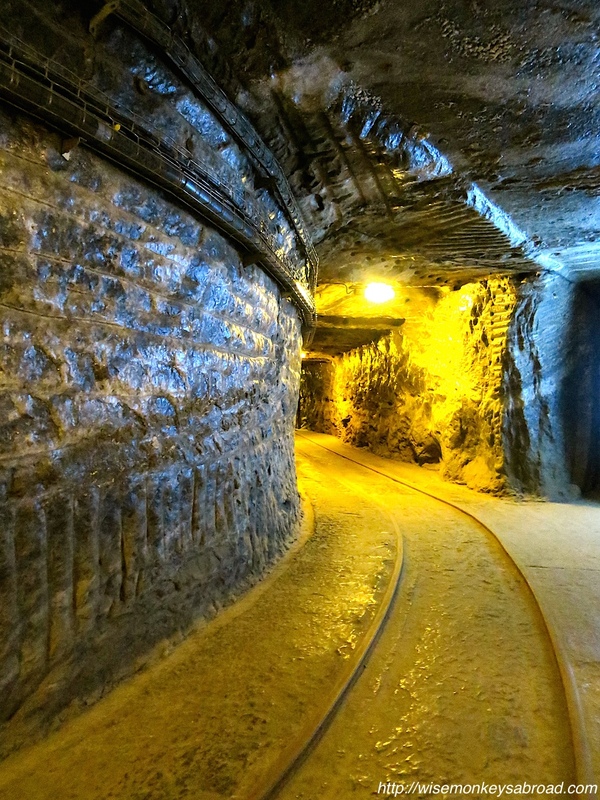 And can you photograph inside the mines? Yep, but you will need to pay a small fee in addition to your entrance ticket. 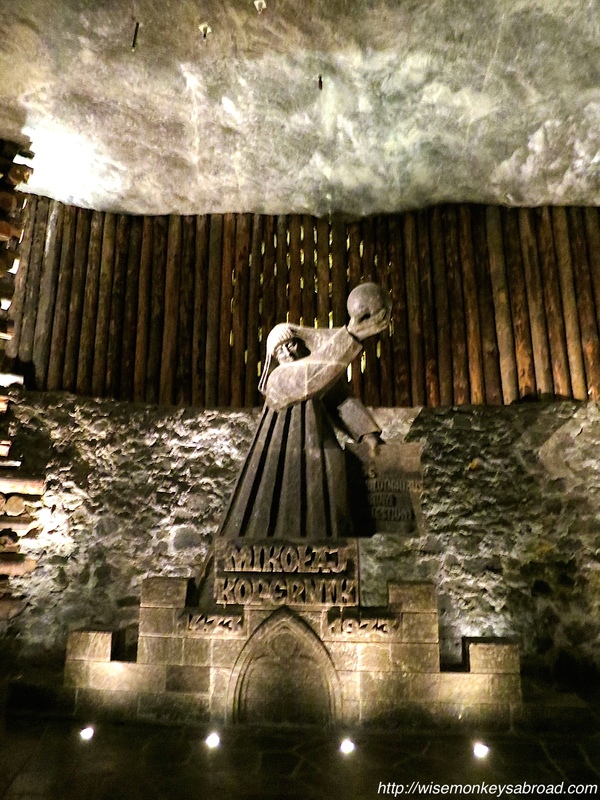 Wielickza Salt Mines was listed as a UNESCO Heritage site in 1978. 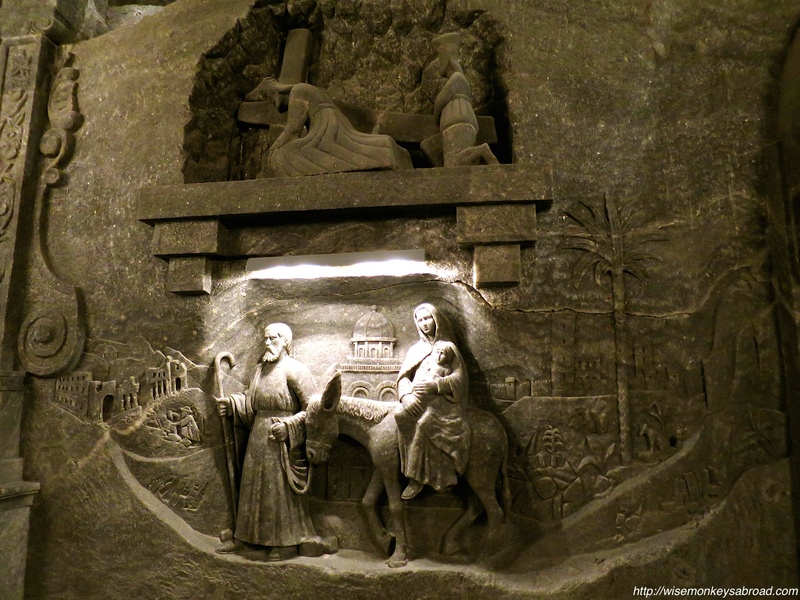 This entry was posted in Europe, Poland, UNESCO, Weekend Walks and tagged carvings, chapel, Krakow, miners, Photography, Poland, rock salt, salt mines, sculptures, St Kinga, statues, Travel, unesco, UNESCO Heritage Site, weekend walks, Wielickza Salt Mines. We learnt about the 3-picture story this week from The Daily Post and that turns out to be the theme for the photo challenge. 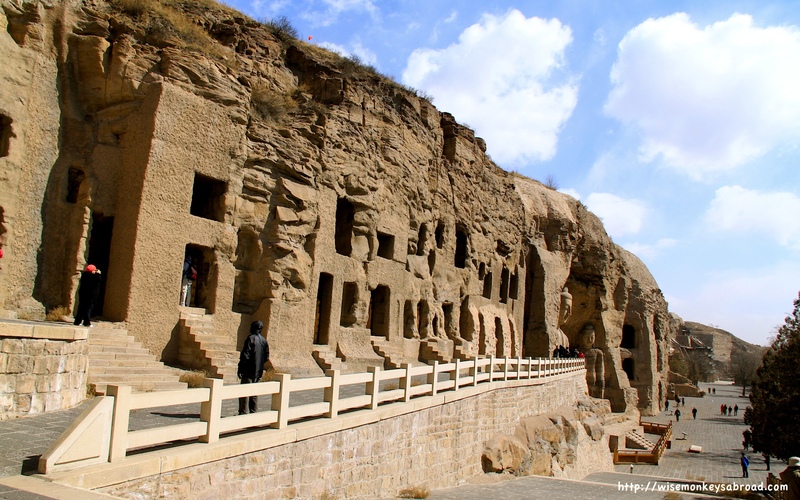 This photo story is from our visit to the Yungang Grottoes in China. 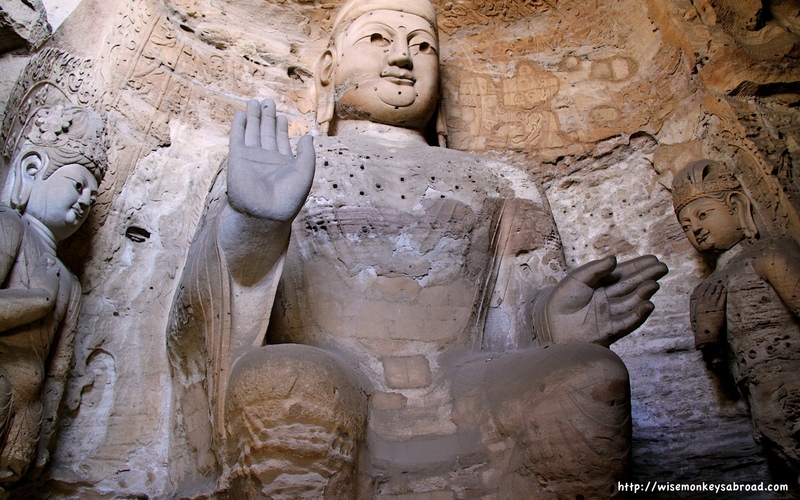 This entry was posted in Asia, China, Photo Challenges, Weekly Photo Challenges and tagged buddha, carvings, China, Datong, Photography, Travel, Weekly Photo Challenge, Yungang Grottoes. "They shall grow not old, as we that are left grow old; Age shall not weary them, nor the years condemn. At the going down of the sun and in the morning We will remember them." Lest We Forget! To the men and women who have served our country; in the past, in the present and those who will in the future, we thank you and honour you! Train travel is so much fun. We love looking out of the windows especially when we can get views like this. This was on the train in #Japan - not a bullet train because the scenery fly by on those!